Hey! 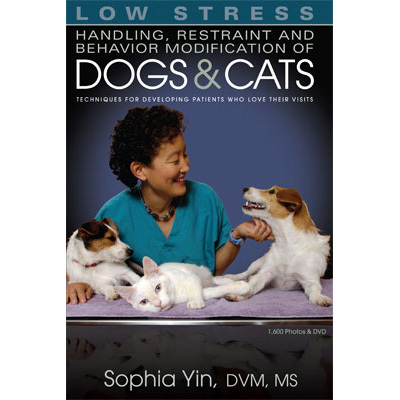 Did you guys know that you can buy an affordable 30 day online pass to read Dr. Sophia Yin’s Low Stress Handling, Restraint, and Behavior Modification of Dogs and Cats? I didn’t! I’ve been pining over that book and dvd set for months – but at $150 it was a little steep for this needs-a-new-washer-dryer gal to spend. So there I was, sad that I couldn’t read her book, which I was sure would help me to help Boogie feel more at ease at the vet. And little did I know there was an affordable online version. Did anyone else miss this option? Go check it out! This book is heaven for me because my little man Boogie is a scaredy-dog. Most new stuff, situations, and people freak him out. With a little time and a game of fetch, he’s good to go, but he needs a soft touch, especially at the vet. We’ve been lucky in the past and had a wonderful vet that understood how to approach and examine Boogie. But then she left for maternity leave and we lost her. After that, we had a really unpleasant experience in our search for a new vet for Boogie – despite good recommendations, multiple advance emails and discussions with the new clinic about Boogie’s needs – it was a disaster. The vet visit last year went something like this: The vet throws Boogie treats for a few minutes while standing near him, stares at him, then, just as he’s starting to relax (sort of), she puts him on a metal rectangle on the ground and flips a switch so the table rises out of the floor. Boogie and I were both shocked. I had thought it was clear that she would examine him on the floor. Instead, she took a scared dog and put him on a moving metal monster. Then, standing behind him, she tried to examine his abdomen. No surprise here: Boogie growled at her, a lot. I was doing my best to redirect his attention, asking him to look at me and giving him amazing treats, but every time he growled the vet sternly told him “NO” and scared him more. I was so stunned that I was having trouble advocating for Boogie (I still feel bad about that). But I kept trying to work with him, so she could finish the exam and then we could get the hell out of there. Then this doctor stopped the exam to chastise me – she told me I had to stop rewarding him for growling and start telling him “NO” too. And that’s when I lost it. I told her I would never correct my dog for telling someone he was uncomfortable – that correcting away a growl was dangerous because we’d be taking away his attempt to communicate his fear and that leads to dogs biting without warning. If he’s scared, then the approach needs to change. She told me I was rewarding his bad behavior by treating him. I told her she was going to take him off the table that very second and examine him on the floor. She did. Then we left. I was pissed. 1. we have five pets, so we have to go to the vet a lot. It would be nice if someone came to us instead of us schlepping our rag-tag zoo across the state. 2. one of our cats gets disgustingly car sick and poops his pants, then rolls in it in his crate while I drive. So every time I get to the vet, I run in yelling, “I need a room for Gus! He’s covered in poop!” and then I spend 30 minutes trying to clean up my 18 pound cat’s poopy pants. 3. Vet waiting rooms are stressful! 4. Boogie will feel more comfortable at home, where he can meet the vet outside and play ball with him before the exam. To top it off, the vet tech coming over is an old friend of mine who worked with me at the shelter and knew Boogie when he was there on the adoption floor. I could buy 30 days of online access to the book, videos, and handouts for just $25. I couldn’t pay fast enough and spent all night reading the book and watching the videos. If you have a dog (or cat) that is fearful or aggressive at the vet or in any scenario, go do the same. While there is a ton of general advice out there on the interwebs for helping your dog get comfortable at the vet, it’s just that – general advice that’s pretty universal: stop by often, go slowly, lots of treats, etc. But this book gave me exactly what I need: specific instructions on how I can restrain my dog for various procedures and how to train him, prior to the visit, so that he’s more comfortable getting injections, blood draws, ears cleaned. Since I’ve worked in shelters, I do know how to restrain and vaccinate dogs. But no one really taught me how to do this – I just learned on the fly. So I wanted detailed instruction on the various holds, all with the goal of making the experience as low stress as possible, while still keeping everyone safe – and this book delivered. The chapter on “difficult dogs” was especially juicy and delicious. I’ve been talking with my pal the vet tech, so I know that she plans on doing Boogie’s blood draw from his back leg. Wouldn’t you know it? Dr. Yin outlines how to do this exact procedure, specifically on a fearful dog. It involves a wall, my leg, a head harness, and a lot of calm stroking and head rubbing. My husband and I will practice these moves with Boogie prior to the exam. It feels really good to have such clear, easy to understand instructions – with lots of photos – to guide us. If your dog is stressed at the vet, the groomers, at home during nail trims, or just fearful of things like novel objects or car rides, you’ll want to read this book and watch the videos. It’s just super user-friendly. And I’m pretty sure that even those of you that have a lot of experience with dogs will still pick up a new trick or two for handling dogs and cats – like different ways to roll them on their sides or how to use a gentle leader to control a dog’s head while you examine them by yourself. These vets have all the book smarts, but no bedside manner. That would be fine, just book smarts, if they never had to touch the dogs and the vet techs could do all the handling, but vets have to touch the dogs. So why aren’t more of them taking a few hours here and there to read this book and get educated? Why isn’t it a priority for vets to learn how to properly handle dogs and cats in order to make the experience a positive and safe one for everyone involved? I’m kind of peeved it’s not on everyone’s must read list. If you work in a shelter and you need to do vet rounds, please ask your boss to buy you this book. If they won’t, sign up for the 30 day online version. 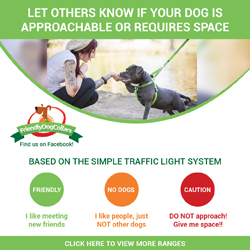 Not only will it help you do the medical tasks you have to do as part of your daily work, but it has great tips for stuff like: entering/existing kennels, how to safely approach and leash fearful dogs at the back of kennels, and how to avoid using a rabies pole. I wish I had this resource a few years ago when I was at the shelter. And can I just say that I’m even more annoyed at the vet from last year after reading this book? 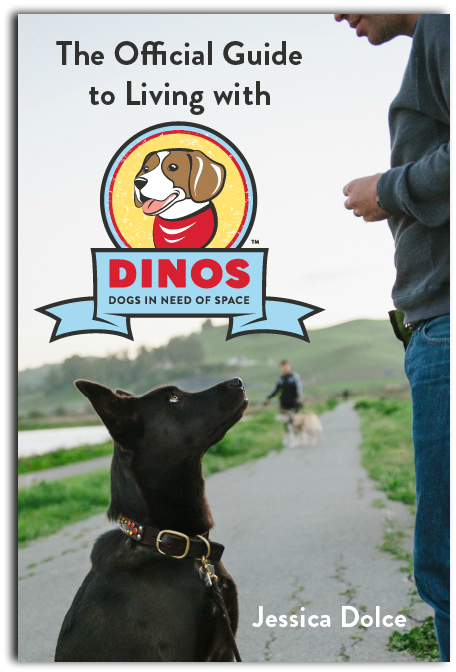 It addresses the exact scenario I encountered: someone who thinks it’s wrong to reward a dog when they are afraid. This video shows how using treats can change the emotional response of the dog, even while they’re growling. The vet techs at XYZ were really terrific, but I’m looking for a vet with better behavioral and handling skills. I prefer a vet that is willing to alter their approach in order to help my dog feel more comfortable – for instance, sitting on the floor with him, rather than putting a terrified dog on a moving table and standing behind him, correcting him loudly with a “no” every time he growled. Correcting a scared dog with a firm “no” every time he growls, as this vet did and asked me to do, only suppresses the growl, it doesn’t change how the dog is feeling – that they are uncomfortable with how they are being approached. 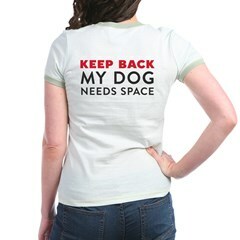 Teaching a dog not to growl is extremely dangerous and leads to biting without warning. Although I tried to explain that I was treating my dog after asking him to “look” at me, the vet misunderstood that I was rewarding him for growling. I was not. I was rewarding him for redirecting his attention to me (and trying to make the experience positive). I was deeply unhappy that she didn’t understand this and that she insisted I tell him “no” for growling. We have never had such a stressful exam. Hopefully, this vet will check out Dr. Yin’s resources. More professionals need to make this sort of continuing education a priority. In the meantime, I’m studying the exercises we need to practice in order to make our home visits at the end of the month a more pleasant experience for Boogie. I’m sure it’ll still be a humdinger of a visit, but we’re going to try our best to make it less stressful for our wee man. Wish us luck and stay tuned for an update in September! * You bet your sweet tuckus that’s a New Kids on the Block reference. Oh baby, gonna get to you girl. Thank you for an excellent post and resource. I’m going to get on this one right after the No Kill Conference this weekend! I too have a “fearful wee man.” And – I had the misfortune of taking him to a Vet that had been great with my pack for years – but when we added Shorty – it was a total change in the Vet. And – unfortunately – when we boarded our pack at said clinic – they ignored detailed typed pack instructions! Shorty had to be with our Alpha Dinah at all times. He would mirror ANY behavior she showed him. And she was a totally centered leader. But – te opted to take Dinah and our other two out for walks – as rewards for being such great girls…and leave Shorty in a crate for a time out…alone. Well guess what? When they opened his crate to let him out – he wouldn’t come. So – because they”didn’t’ have time for his attitude” they tried to pull him out and he bit the Vet. So – on vacation – we were called and told that Shorty was being taken to Animal Control for a 10 day lock down quarantine. I talked to the Vet and the Staff and then said I’m either calling an attorney or flying home…and neither will be pretty. Ho Hum – so much for understanding the breed you are licensed to care for. I’m thankful that you take the time with your needful guy. And – I’m looking forward to going online for some new tools for my guy from this reference! I’m in that need-a-car mode and recently out of a job! Firstly, POOR Boogie! What a callous vet! As for the book, thanks for the reccomendation. I wish I’d had this 20 years ago when Booker, a rescue I adopted was so stressed at the vet we had to have several people hold him down for an exam. Booker was 130 pounds of muscle so it was an experience I dreaded! I agree completely. It still surprises me (maybe it shouldn’t) when I read stories like this. Vets have an obligation to their patients to understand basic dog behaviour and to at least care a little about how the dog is feeling. I know they are busy but it baffles me when I hear about veterinarians who don’t do anything to make an animal more comfortable. Why did they get into such a practice in the first place? My vet is wonderful and she even backs off if she sees my dog’s ears flatten. “Worry face!” she’ll say in a happy voice and then offer her a treat. After the uncaring experience we had at our first vet, our current one is just amazing. Thanks for the info about the book! I’d love to take a look at it. The moving table would have freaked me out as well, poor Boogie! It’s a common misconception that being nice to your dog while he’s fearful will make him more fearful, he’s already afraid. You can’t make him more afraid by being nice, quite the opposite. Dende also isn’t a fan of the cold metal table, our vet used to have nice, Fat Boy like dog cushions, which were super comfortable and made him feel safe, but they’ve disappeared for no reason. When I found the perfect vet for Herman, my pit bull, it was amazing to watch their team work. The vet would get down on the floor with Herman and took time to get to know him as an individual. I remember one time when Herman was getting mouthy during an exam. The vet knew instantly that this was NOT aggression and reacted with a calm “Im not taking my hand out until you calm down a little.” he was smiling and completely unruffled. He knew Herman and wasn’t the least bit afraid. Oh, and btw, Herman caught on quickly about not being mouthy at the vet. Thank you for that info! I am going to go buy that online version RIGHT.NOW. (well, after I finish my comment). Our last visit to the vet was a dis-as-ter. Last year, Molly handle all her shots with ease, but this year, she had a complete meltdown. It involved us wrapping her in a blanket and pinning her to the ground to draw blood. Both of us were traumatized (but at the time, I didn’t know what other avenue to take). Afterwards, I called my animal communicator (Dawn Wrobel, love her!) who told me that prior to our vet visit, another dog had been euthanized in the exam room. Molly was working off that energy and felt we were going to do the same to her. I called the vet and confirmed they did have a dog put down about a hour before we got there. Heartbreaking. Now, when I know we have to go to the vet, whether for something routine or for an emergency, I try to talk to Molly and let her know about the situation beforehand. I also try to keep myself calm, which is sometimes harder to do. We also use a lot of Rescue Remedy. It might not work for everyone, but for now, it works for us. Great to know about the trial, thank you! This is such an important and overlooked topic, especially in relation to raising a new puppy, and the primary reason that I still continue to go to the same vet we’ve used for years, even though we live 30 min away and there are several other options closer to us. The office is an all female staff (coincidence?) who are very thoughtful about their handling techniques and who, even more importantly, are good about letting me take the lead on how my pets are handled at the visit. I come armed with treats, toys, and a rubber-bottom mat and I’ve made it clear that every procedure that can be done in the room with me present should be, rather than taking the dog to the back to be handled out of my sight. We also had the good fortune of working with a therapy/service dog trainer who consults with vet offices on how to make their practices and facilities more friendly to their clientele (i.e. D.A.P. diffusers, jars of peanut butter and wooden spoons in the rooms, floor mats, etc.). My all-time favorite command from our therapy dog training class that is so helpful for vet visits is “Flat.” This is where the dog lays down on its side with its head down and legs straight out (used for laying calmly/safely with patients in hospital beds). It requires no hands-on the dog to get them to lay down for different kinds of exams. That sounds like an ideal situation. If only every vet clinic was run this way. When we moved to Mississippi last year, I was lucky enough to find a clinic with not one, but two lovely female vets (my Akita boy prefers women to men). One of them would get down on the floor and just love all over him and he would give her kisses, which he’s never done with a vet in the 10 years I’ve had him. So I absolutely hated having to move a few months ago, because it meant having to find a new vet. I’m hopeful that the one I found (a practice with 4 female vets) will be a good fit. By the way, love the New Kids reference!